View Poll Results: How does Kalinic's departure to Atletico Madrid make you feel ? Looks like 10 million upfront for the loan since they still have doubts about our financial products. And a further 15 million as an obligation to buy later. People keep bringing his 15 goals up but how many games has he started? Sousa was heavily criticised for his tendency to rotate players too often & he kept benching the likes of Kalinic, Berna, Badelj etc. Either way good luck & I'm pretty confident he'll succeed and won't take long till the fans start liking him as hes a very good CF. can he play as LW? Hopefully he takes a big step up and scores at least 25 this season. Welcome, Kaligola! Last piece of the puzzle. He will be good for us I think. Can`t say he is better than Bacca, but it suits Montella set up much more. He will be using number 7 ..
Last edited by Andromeda; 22-08-2017 at 13:46. 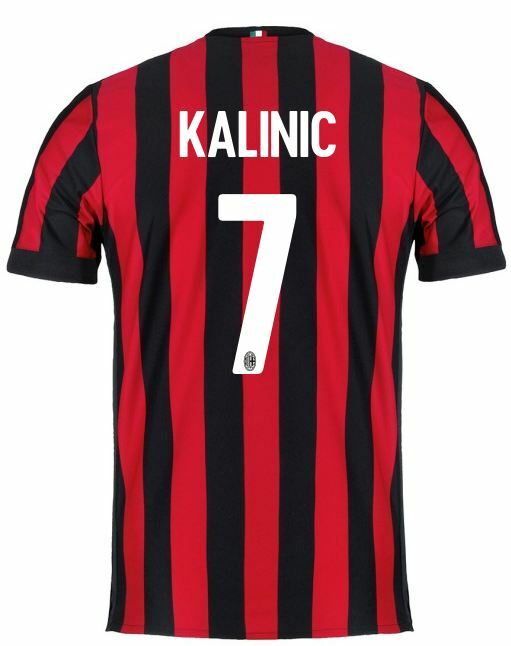 People are underestimating Kalinic. He's very similar to Mandzukic - hardworking, good at holding up the ball and some flair beneath the surface. Definitely an improvement on Bacca and better value for money than 80 mil Aubameyang given their age. I love croat players. If he scores the same 20 he did last season he's done his job.